I am remembering all the taxiwallahs of Delhi n how safe n utterly trustworthy they used to be….mainly Sikhs driving ramshackle ambassador taxis with the same flair as though they were actually Rolls Royces! Way back in 1965 when I was studying in Carmel Convent School on Malcha Marg, war broke out with Pakistan, we were staying at Dhaula Kuan officers’ colony, with a newly-minted DSOI club n its shimmering blue-tiled swimming pool, n , life was good! 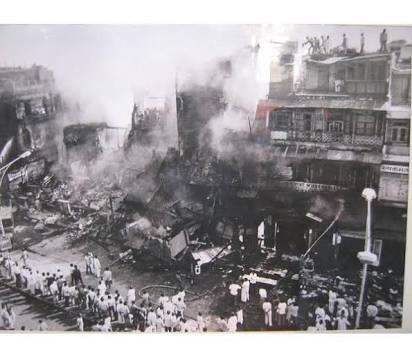 Then my father was posted back to ship in Bombay n my mother n I shifted to the MAR Hostel for “separated families” on Jan Path opposite the National Museum. There was a Sikh-owned taxi stand just outside n so my mother n I at all hours( except after sunset because of air-raid warnings), were travelling to do shopping at INA Market, Khan Market, Shankar Market, Connaught Place n even at the CSD canteen at North Block thanks to the efficient and cheerful taxiwallahs outside. In Delhi till then you couldn’t flag down a cab on the road, you had to go to the stand n get into one or else telephone the stand for a taxi. We never missed not having our dinky little Standard Ten, two-toned car which had travelled with my father to Bombay…..we were to join him shortly anyway. As a hack in Delhi, in the 80s n 90s I remember a particular cabbie called “Bihari” on a stand outside Centre Point Hotel opposite Scindia House, in Delhi’s CP area, a great favourite with hacks who paid when able n Bihari never demurred but on the contrary waited in the long after hours outside the Press Club, knew the shortest route to all “newspoints” be it AICC(I) off , BJP, CPM, Janata Dal etc….homes of MPS n babus alike! Then on Oct 31, 1984 when all hell broke loose after Mrs Gandhi’s assassination , I was at AIIMS with a Sikh friend n colleague then working for TOI’s Hindi magazine called Dinmaan……Jaswinder Singh I think was possibly the very first Sikh who was hounded by a braying mob….we ran like hunted animals in the Medical Enclave Campus of AIIMS, till a Dr. Cheema’s wife offered to shelter Jaass for the night….I walked alone to South Extension….shops were being smashed n mayhem had begun, I had to reach the office of Midday the eveninger from Bombay which was at Rajendra Place then….exactly on the other side of South Delhi. At the taxi stand was an old ramshackle cab with an even older sardarji inside it behind the wheel, I asked him to take me to Rajendra Place,he agreed n I almost fainted with relief!! On the way I asked him if he was scared: he replied with stoic calm: ” Mein vee budha tey meri gaddi vee, bachhey saarey baar chaley gayene….tey dar kis gal da biba? ?” ( I am old n my cab is old, my kids are all abroad, so what do I have to fear girl??). He dropped me to my office, cranked up his ancient jalopy n headed into a sinister night of the worst mayhem after Partition of India. I never saw him again. And now this story of a trusting young upwardly mobile girl who dozed off in the backseat of an Uber Cab!!! Maybe our kids too need to unplug n we need stringent laws to allow radio-cabs n such into a country which is still groggy with the first after-effects of globalization??! What say you? ?